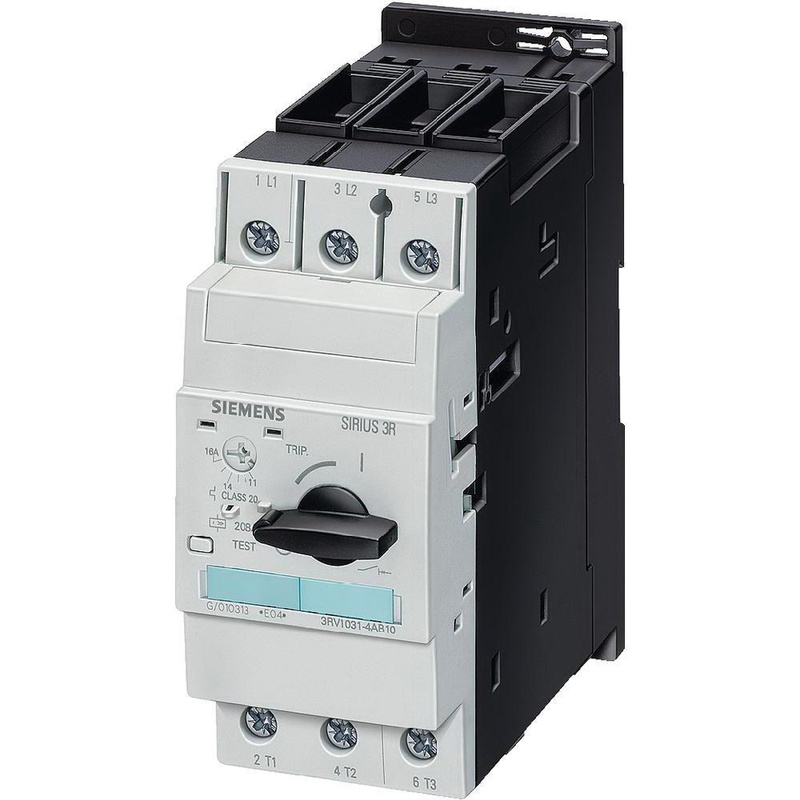 Siemens Sirius 1-/3-Phase Motor starter protector with S2 frame, has voltage rating of 690-Volt AC and current rating of 32-Amps. This 3-Pole motor starter protector has frequency rating of 50/60-Hz and interrupt rating of 10-Kilo-Amps. It measures 55 mm x 149 mm x 140 mm. It operates at temperature range of -20 to 70 deg C. It has maximum load capacity of 3 hp at 115-Volts, 5 hp at 230-Volts for 1-Phase and 10 hp at 200-Volts, 10 hp at 230-Volts, 25 hp at 460-Volts, 30 hp at 575-Volts for 3-Phase. Motor starter protector has power dissipation of 15-Watts. Motor starter protector with screw terminal connection, is snap-on mountable. It accommodates two 0.75 to16-Sq-mm, two 0.75 - 16-Sq-mm, 0.75 - 25-Sq-mm, two 0.75 - 25-Sq-mm and 0.75 - 35-Sq-mm solid/stranded conductors. Motor starter protector is UL listed and CSA/CCC/CE certified.